Mohammad Sharifzadeh has over 20 years of experience teaching courses in finance, statistics, and mathematics, full time and part time, and has been mentoring PhD students in finance and accounting specialization at Walden University since 2006. While keeping his affiliation with the academia, Mohammad has been engaged in investment management and research for the past 20 years as chief research analyst and director of research and has written research reports on valuation of public companies and industries on a regular basis. Mohammad is a charted financial analyst (CFA) and a certified financial risk manager (FRM). His recent peer reviewed publication is about the impact of monetary policy on the equity markett and is published in the February 2017 issue of International Journal of Applied Management and Technology. 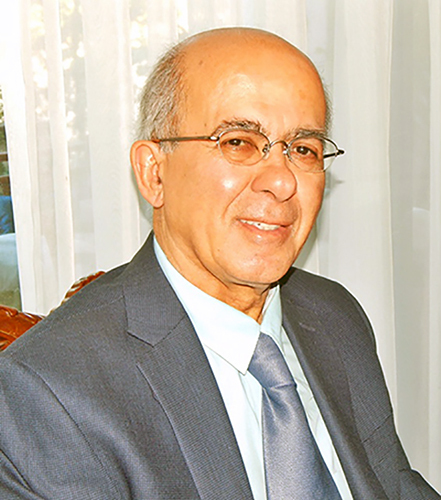 Dr. Sharifzadeh adheres to Walden University’s’ mission of commitment to positive social change. As a charted financial analyst and a member of Los Angles Society of Financial Analyst, Mohammad contributes to positive social change through providing complementary investment research ideas and reports for small publicly traded companies assisting them in their fund raising and business growth.